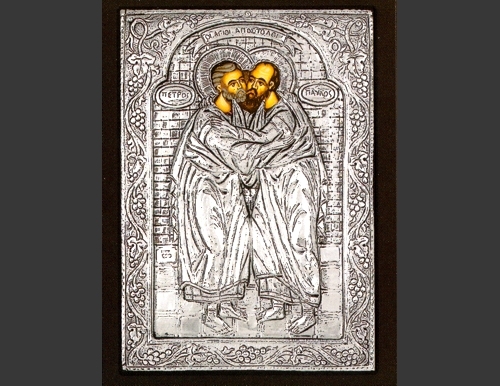 An exquisite silver Greek Orthodox icon of the Apostles, St. Peter and St. Paul. Apostle Peter is the leader of the twelve apostles of Jesus Christ. Apostle Paul was the "Apostle to the Gentiles", being converted while on the road to Damascus by Jesus Himself. 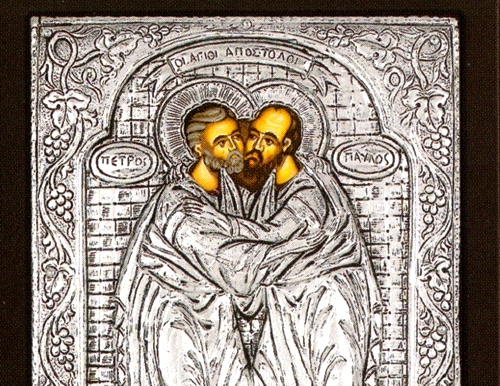 The Church remembers St. Paul together with St. Peter on June 29.